Sierra InfoQuest (iQ) is an informational database for marine engines and serves as a supplement to the STATS printed instruction manual. Sierra iQ also displays all of the applications that Sierra STATS is currently able to connect to. What are the benefits of Sierra iQ? Sierra iQ allows the user to view all the basic information on the engine. It also allows the user to see what software, cables, and hardware are required to connect the STATS diagnostic tool to an engine. Pictures and descriptions of the Data Link Connector (DLC) are available on most models when properly logged in with Username and Password and provides the user with tips and hints about the engine to aid in diagnostics. 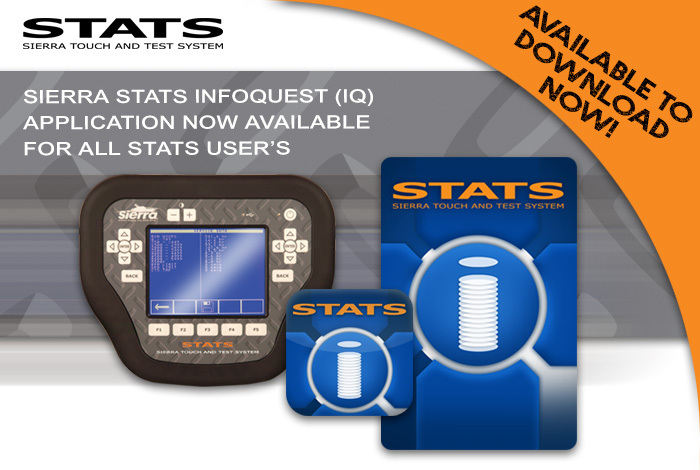 Sierra iQ is also equipped with a feedback function that allows users to add information to each engine allowing STATS users to support each other as well. In order to gain full access, users will need login with the email address registered the users STATS console using the serial number of the STATS console as the password. To gain Public access that displays application and cable information only, users will click ‘Sign In’ and then ‘Sign In as Guest’ in the sign in dialog box. The web-based version is free of charge at www.sierra-iq.com. For iOS and Android users, a mobile version is available for a one time purchase of $0.99 in the App Store for iPhone/iPad and Google Play for all Android devices. Helpful login hint for STATS owners! Make sure you login with the email address you used to register your STATS unit. The Serial Number of the STATS unit is the password.